Aerospace Engineering is that branch which deals with the design, development, testing, and production of aircraft and related systems like missiles, rocket-propulsion systems, space-shuttles etc. The original term for Aerospace Engineering was “Aeronautical engineering” but after the advancement of technology include craft opening in outer space the term was replaced to Aerospace Engineering. It comes under engineering courses. It is the demanding and challenging branch of engineering. Aerospace engineering focuses in designing, construction, development, testing and maintenance of commercial and military aircrafts and spacecrafts. One who specializes in Aerospace engineering and possess the bachelor’s degree in Aerospace Engineering is titled as an “Aerospace Engineer”. The aerospace engineering came into existence in the late 19th to early 20th century. Aerospace engineers launch its first American satellite on 31st January, 1958. Then go ahead and choose courses as per your interest. Aerospace engineering integrates all these elements to design a fully functional aerospace vehicle. An aerospace engineer develops, maintains and tests the performance of civil and military aircraft, missiles, Satellites and space vehicles that meets the customer requirements. Settling the issues that arise during the design, development and testing processes. Modifying design to inbuilt some new functions and improve safety features. Performing ground and flight-testing programmes on prototypes. Estimate feasibility, productibility, cost, and production time of an aerospace vehicle. Write and review technical reports. There are lots of courses available in the field of Aerospace Engineering. You can pursue advanced diploma, bachelors, masters, and Ph.D. courses in this field. This is a career focused on courses after 12th science. Undergraduate courses: Bachelor of Technology (B.Tech) degree of four year duration. Master courses: Master of Aerospace Engineering (MAE), degree of three years duration. For bachelor courses, students must have passed 12th with PCM group and for master courses, students must hold a bachelor degree in the related field. For master’s courses, students must have a Bachelor of Technology (B.Tech) degree in Aerospace engineering. Candidates holding master’s degree will be eligible to pursue doctoral courses in this field. Candidates having strong desire for B.Tech (Aerospace Engineering) are required to appear the entrance exam after the completion of 10+2. Joint Entrance Examination Main (JEE Main) is the well-known national level entrance exam which provides entry to undergraduate engineering courses. Those wishing to take admission in IITs have to qualify JEE Advanced which is the second stage of JEE Main. Various institutions/Universities has its own entrance test for granting admission in B.Tech programme. Some states also conduct their entrance exams for providing admission. Astronautical Engineering – Related with operating aircrafts outside the atmosphere of Earth. 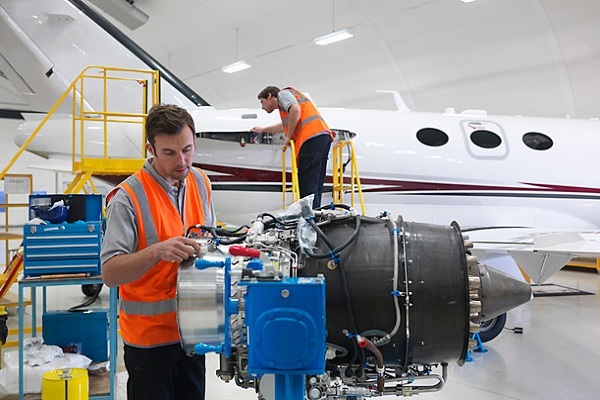 Aeronautical Engineering – Related with operating aircrafts in the atmosphere of Earth. An Aerospace Engineer can work in both government & private sectors. There are many job opportunities for aerospace engineers in India as well as abroad. Basically an Aerospace Engineer design, develops, researches, test and maintains the performance of military & civil aircraft, rockets, missiles, weapons systems, satellites, etc. Major Job opportunities for Aerospace Engineers are available in Air Force, Airlines, Corporate Research Companies, Helicopter Companies, Defence Ministry, Aviation Companies, NASA, Flying clubs, Aeronautical Laboratories, Aircraft manufacturers, government owned air services and many others. Job opportunity in the field of teaching is also open for candidates possessing master’s degree in aerospace engineering. Now the next thing that comes to mind is……….What will be the Salary? In India, the average salary of an Aerospace Engineer as a fresher is above 6 lakhs per year. An aerospace engineer graduated from IITs may expect the maximum salary of 15 lakhs per year. In USA, an Aerospace Engineer earns $ 107,700 per year. An experienced aerospace engineer with master degree could get a handsome salary package. Experience will add value to your CV and also leads to high salary package. Aircraft Performance & Design – John D. Anderson Jr. So now if you are ready to make your career as an Aerospace Engineer.. then go ahead and make your dream come true. For any queries regarding Aerospace Engineering, you may leave your comments in the comment box.